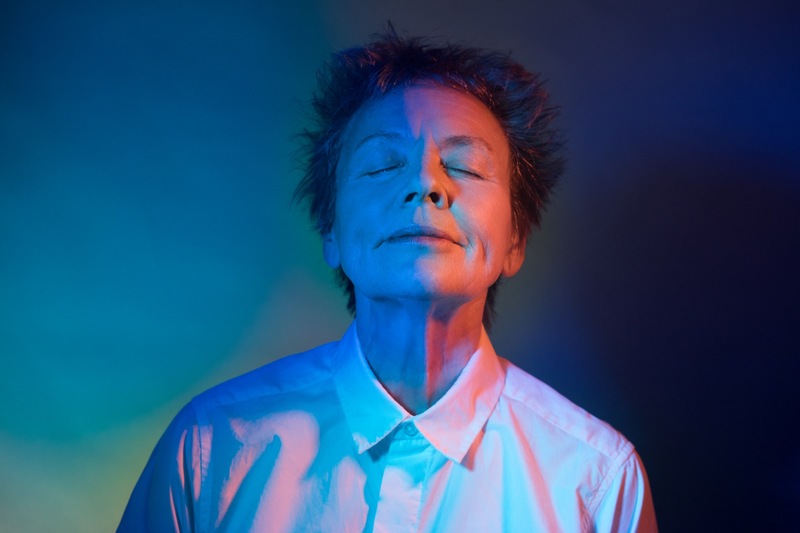 Maxim Boon looks back on the career and legacy of the great American performance artist and musical visionary Laurie Anderson. Some people seek greatness. Others have it thrust upon them. In the case of American performance artist Laurie Anderson, a little of both those statements is apt. For decades, her mercurial mind has produced wildly innovative work that somehow straddles both the experimental and the mainstream. And yet, dodging the mutual exclusivity of the avant-garde and the popular - that rare intersection where cult status is achieved - has never been a conscious objective. Rather, it's the side-effect of a uniquely liminal creative vision. This duality seems an innate quality of Anderson's practice; an artistic philosophy that carves through the headwinds of contemporary art elitism with an interabang of whimsy and play. In the early '80s, for example, as she restlessly forged an identity as a thrilling outlier on the bleeding edge of New York's underground art scene, she was simultaneously topping the commercial charts with the 1981 vocoded minimalism of O Superman, reaching the number two spot in the UK. Recorded on a shoestring budget of $500, secured via a grant, the eight-minute track sounded unlike any other art or popular music of the time. Its success propelled Anderson - a punky, spikey-haired, androgynously styled relative unknown, who had been performing to tiny audiences in SoHo lofts - to international recognition. Even before this watershed moment in her career, Anderson's art was relentlessly multi-faceted, never too firmly anchored to any one medium or perspective. This itinerant creativity has since become her defining hallmark, but a glance at Anderson's teenage years reveals that she was always an adept polymath, albeit of a more suburban variety. A cheerleader, the editor of the school newspaper, a keen violinist and stage performer, a beauty pageanteer: Anderson seemed to inhabit every high school stereotype simultaneously, equal parts peppy and preppy. Leaving behind her Midwestern childhood, arriving in New York in 1966 to attend Barnard College - later completing her graduate education at the University of Columbia - the outlets for her expression took on ever-more idiosyncratic forms. But in their substance, the same superimposition of many interests applied. Painting, sculpture, literature, film, music, electronics, theatre: all could be found cross-pollinating in her work, layered in chimerical counterpoint. An early sound piece from 1972, Automotive, saw Anderson playing a suite of car horns like a junkyard organ. Another early performance work, Duets On Ice, featured Anderson wearing ice skates frozen into blocks of ice. With a custom electric violin in hand, which played pre-recorded tape when drawn like a bow across a tape head, the piece finished only when the ice block footwear had completely melted. These conceptual eccentricities seemed not only to reflect Anderson's multi-disciplinary interests, but also the community of artistic peers who flocked to Manhattan's affordable Downtown neighbourhoods in the '70s and '80s. Among them, Philip Glass, the pioneering minimalist composer who first emerged as a bold disruptor for the new music status quo at the same time as Anderson was also gaining prominence. Much like Anderson, Glass found success by coincidence, rather than by design. "People didn't have careers back then, they had work," he told the New York Times in 2017. "We didn't know what a career was. We were artists. It didn't occur to us that you would make a living at it someday. There was very little support for that generation. There was none, in fact. The big support system was the artist community themselves. We were at each other's performances, quite often at empty lofts." A seven-album deal with Warner Brothers would allow Anderson to cross those provincial borders, bringing her firmly into contact not just with the many worlds of New York, but also with the world world. It would also lead her to the man who would become the most important influence of her life: Velvet Underground frontman and American rock icon Lou Reed. During their years together, Anderson continued to be both ground-breaking and truly accessible — prolifically so. She collaborated with an astonishing rollcall of artists, including Brian Eno, Peter Gabriel, author William S Burroughs and choreographer Trisha Brown. She traversed mediums seemingly at will, from the conventional to the technologically sophisticated, as in her first collaboration with designer Hsin-Chien Huang in 1995, Puppet Motel, a complex and, at the time, cutting-edge interactive CD-ROM. But perhaps even more remarkable than her evident yen to create, was – and still remains – the humour, joy and spiritual freedom enshrined in her work; qualities that can often be muscled out by the dystopian seriousness of contemporary art. But Anderson has also come to channel grief into her creativity. In 2013, Reed died after a lengthy battle with liver disease, at home, in Anderson’s arms. She would also lose her mother, with whom she had a strained emotional connection, and her much loved rat terrier, Lolabelle, soon after. One of her most recent works, Heart Of A Dog (2015), a documentary about the loss of her beloved "Lola" that also encounters the deaths of both her Mother and Reed, disassembles her grief and somehow remakes it as a prism. Without being mawkish or glib, it shines a healing light on the realisation that love is a debt that can only be repaid by a loss of equal value. Anderson is now 70 years old, but her dynamic artistry shows no sign of slowing down. In fact, her personal brand of whimsy and empathy has taken on a more urgent character. It seems important, now more than ever, for a US artist of Anderson's ilk to be visible on a global stage. She is the antithesis of the real-time Mandela Effect of Trump's America, in the era of #FakeNews and "alternative facts" and social divisions on unprecedented scales. Anderson's wisdom on the subject is beautiful in its clarity: "We're here to have a good time. Not to suffer. No, to be here for total joy."